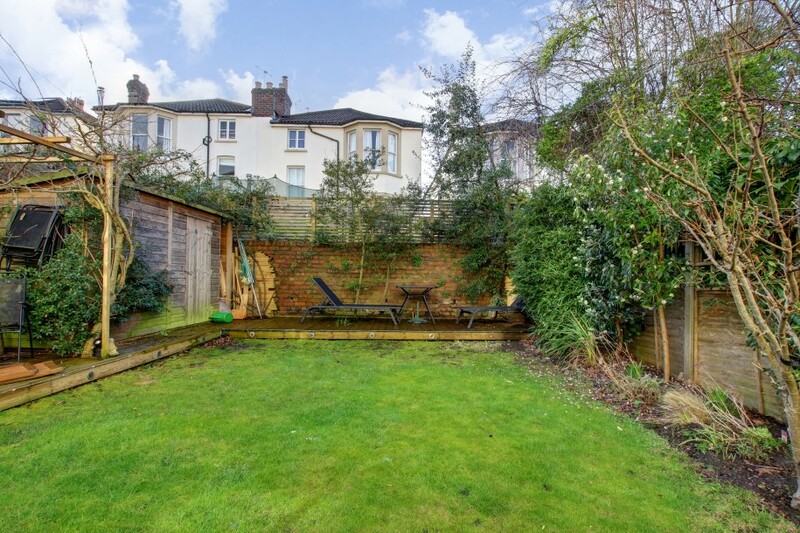 Lower Ground Floor: large landing, independent lower ground floor entrance, 2 further double bedrooms, bathroom/wc and reception 2/garden room. 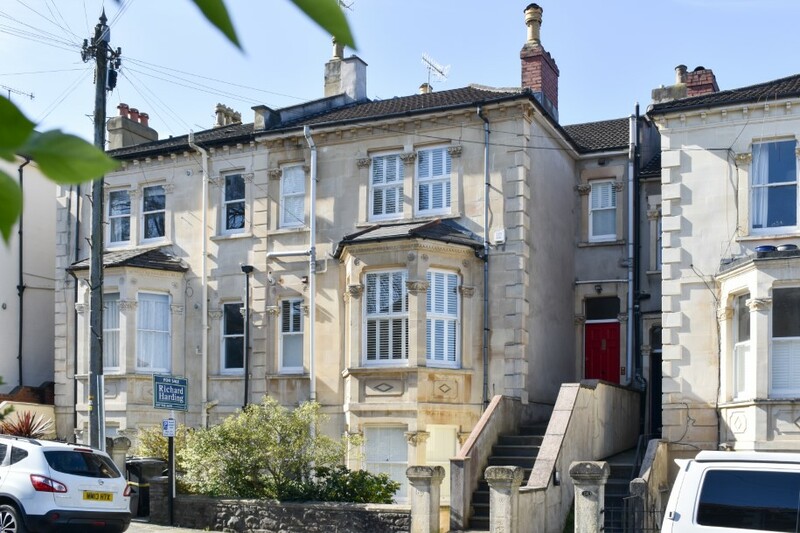 Situated within the Cotham residents parking permit scheme. A fantastic large family home on the sunny side of this sought after road with versatile accommodation and many retained original features. via steps leading up to the main entrance from the front garden. There is also a handy separate independent entrance to the lower ground floor, offering flexibility. 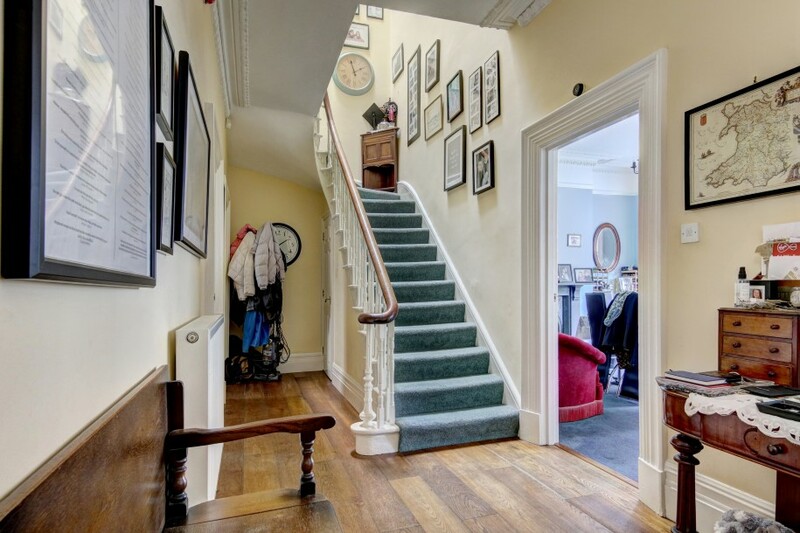 a fabulous welcoming central entrance hallway with high ceilings and original ceiling cornicing, wood flooring, period staircase rising to first floor landing and door accessing the staircase descending to the lower ground floor. Radiator, useful recessed storage cupboard, fuse box for electrics, alarm control panel and doors leading off to the sitting room, kitchen/dining room and utility room. 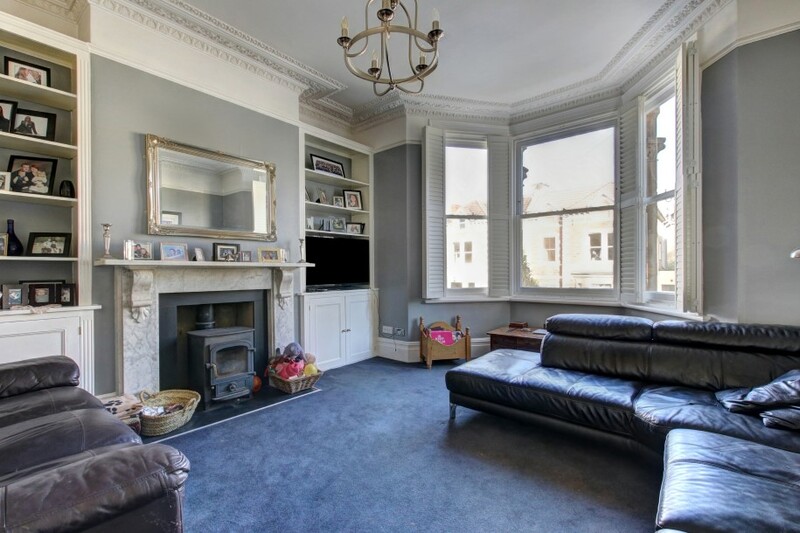 a good sized family sitting room with wide bay to front comprising 3 tall period sash windows with built in plantation shutters, high ceilings with original ceiling cornice, ceiling rose and picture rail, wood burning stove with white marble period surround and mantle and slate hearth, built in book shelving and cabinets to chimney recesses and a radiator. a large sociable family kitchen/dining space spanning the entire width of the house with a modern fitted kitchen comprising base and eye level cupboards and drawers with solid worktop over with inset Miele induction hob with Miele extractor hood over, integrated Miele ovens, fridge/freezer, dishwasher, central peninsular with inset sink bowls. 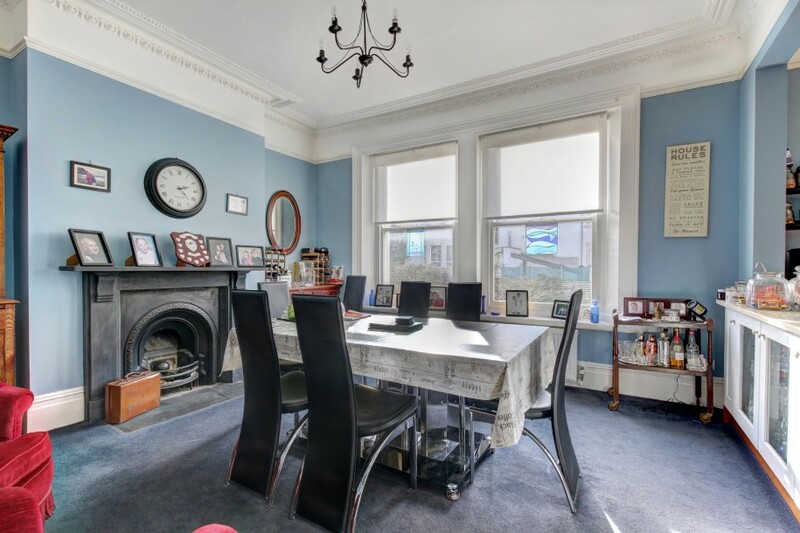 Large dining area with ample space for family dining room table and chairs, 3 large sash windows to rear, high ceilings with ceiling cornicing, picture rail and central rose, radiators and an attractive original fireplace. 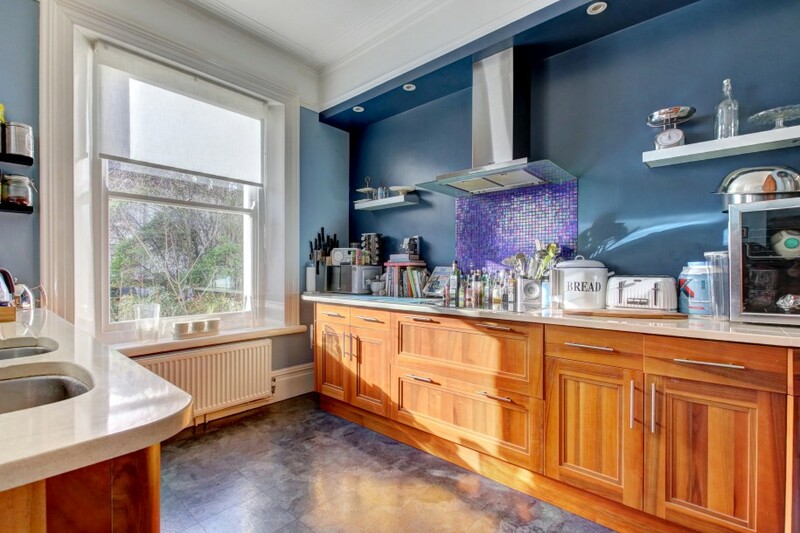 The kitchen has a south westerly aspect and overlooks the rear garden. 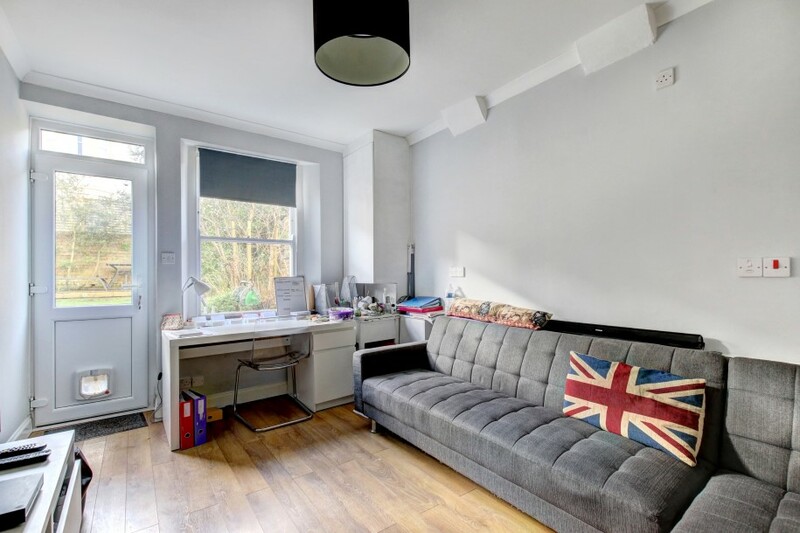 high ceilings, sash window to front with built in plantation shutters, range of base level units with worktop over and inset sink and drainer unit and plumbing and appliance space for washing machine and dryer. Wall mounted Vaillant gas boiler, built in cloaks cupboard, radiator and low level wc. 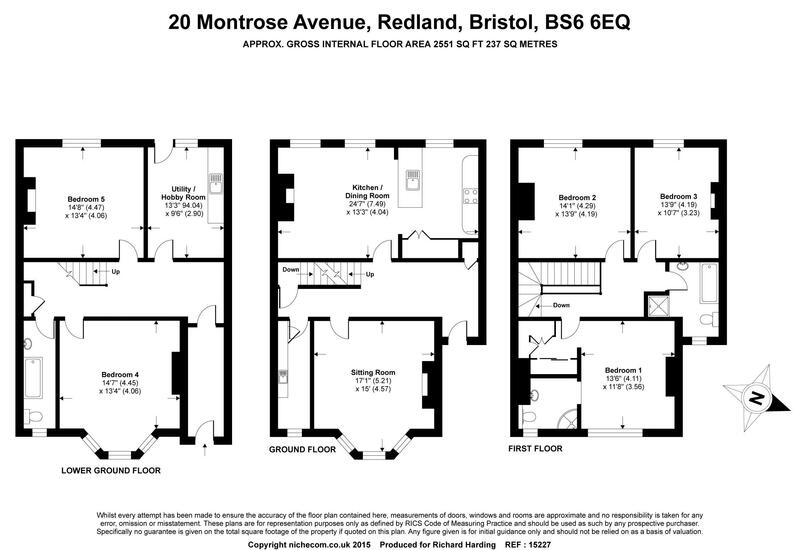 large central landing with doors leading off to bedroom 4, bedroom 5, shower room/wc and reception 2/garden room, radiator, useful understairs recess and further part glazed door leading into a vaulted storage area, which in turn has a door leading out to the front garden providing an independent entrance to the lower ground floor from the front of the property, giving the accommodation great flexibility. 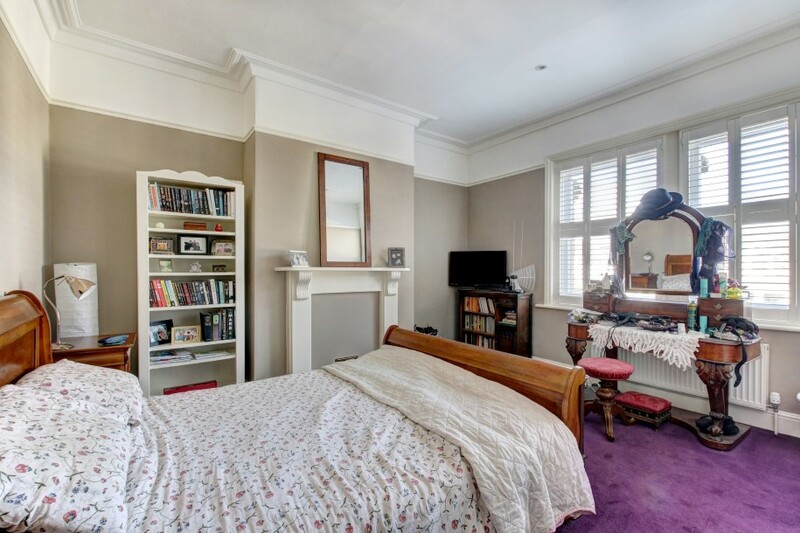 a large double bedroom with bay window to front comprising 3 sash windows with wooden plantation shutters, high ceilings and ceiling coving and a radiator. 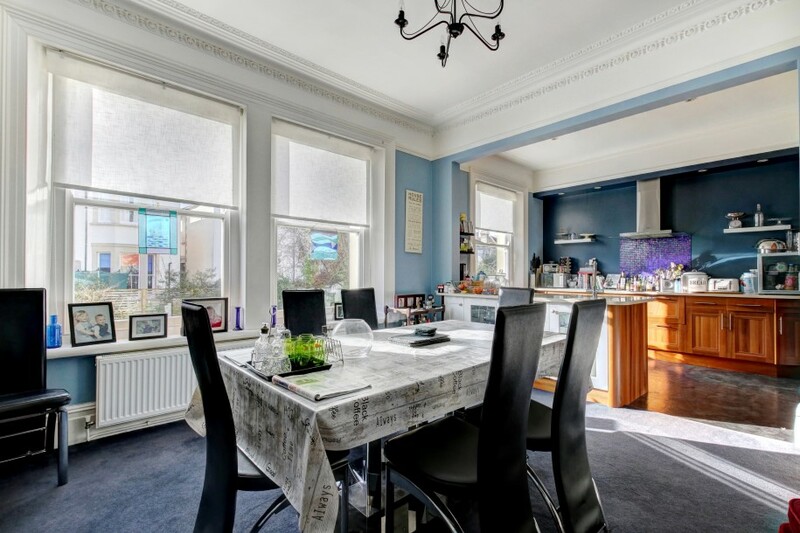 a double bedroom with sash window to rear overlooking the rear garden with wooden plantation shutters, an attractive period fireplace with inset tiles and period surround and mantle, high ceilings with ceiling coving and a radiator. 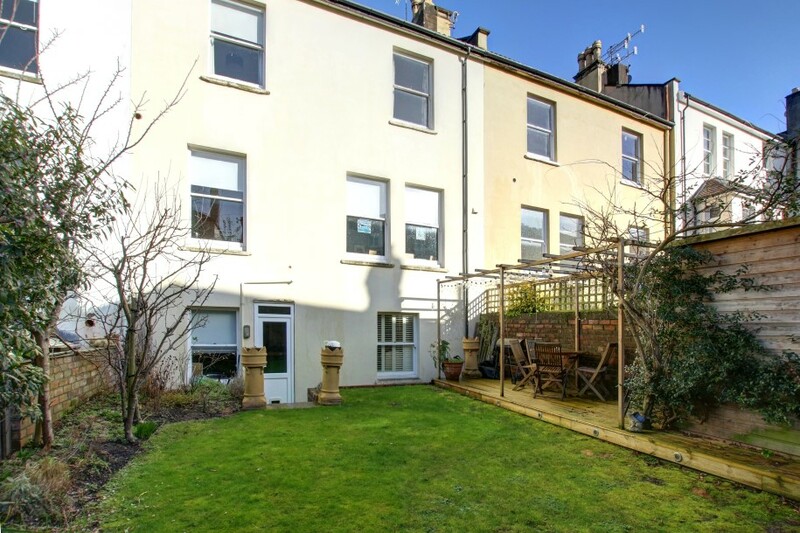 a sash window to rear overlooking the rear garden, further part glazed door beside providing access out onto the rear garden, high ceilings, ceiling coving, radiator and corner cupboard housing Baxi gas boiler. 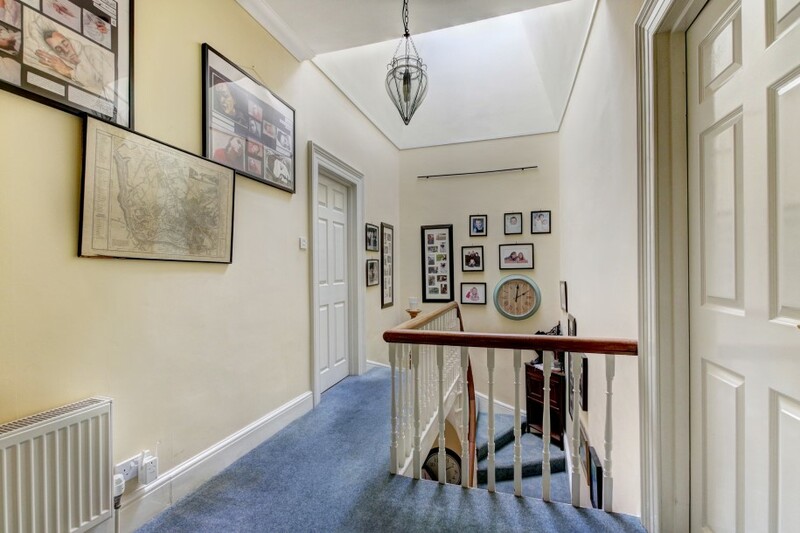 a spacious landing flooded with natural light provided by the atrium style high level roof light window, doors off to bedroom 1, bedroom 2, bedroom 3 and family bathroom/shower/wc. Radiator and ceiling coving. 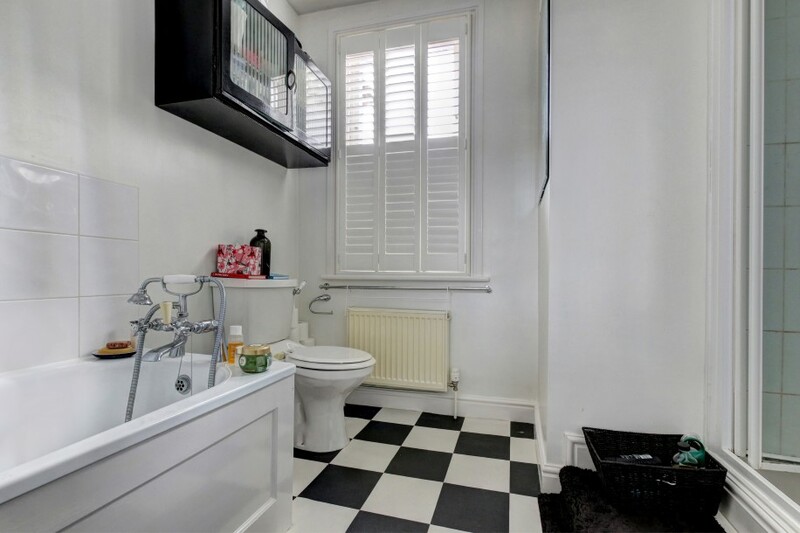 white suite comprising shower enclosure with body jets, low level wc, pedestal wash basin, chrome effect heated towel rail, high ceilings with ceiling coving, picture rail and inset spotlights and sash window to front with wooden plantation shutters. 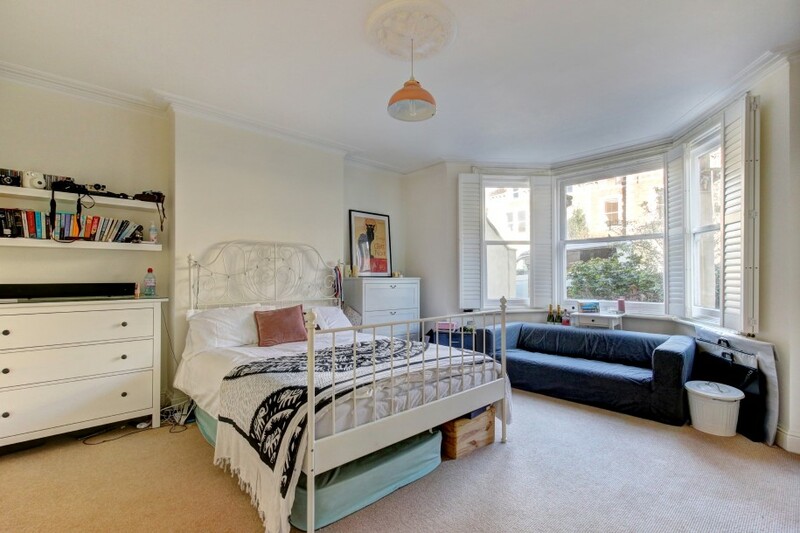 generous double bedroom with high ceilings, ceiling coving and picture rail and a large south westerly facing sash window to rear overlooking rear and neighbouring gardens. 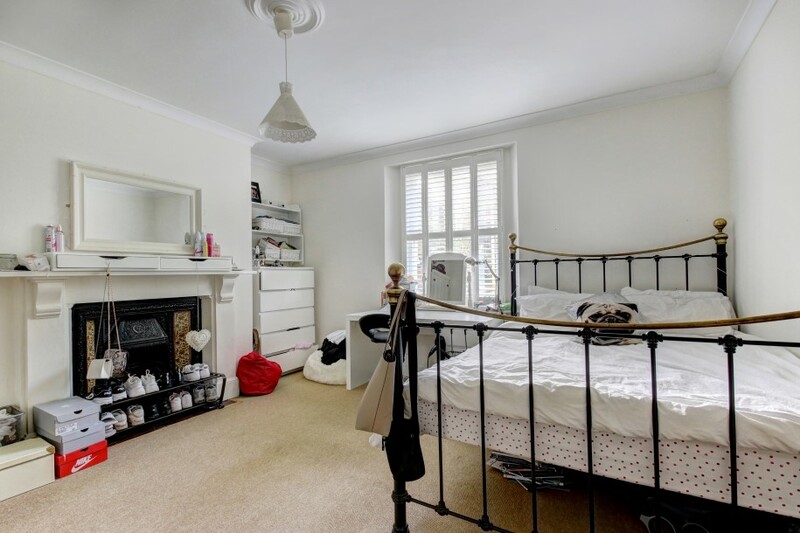 Radiator and boarded fireplace. 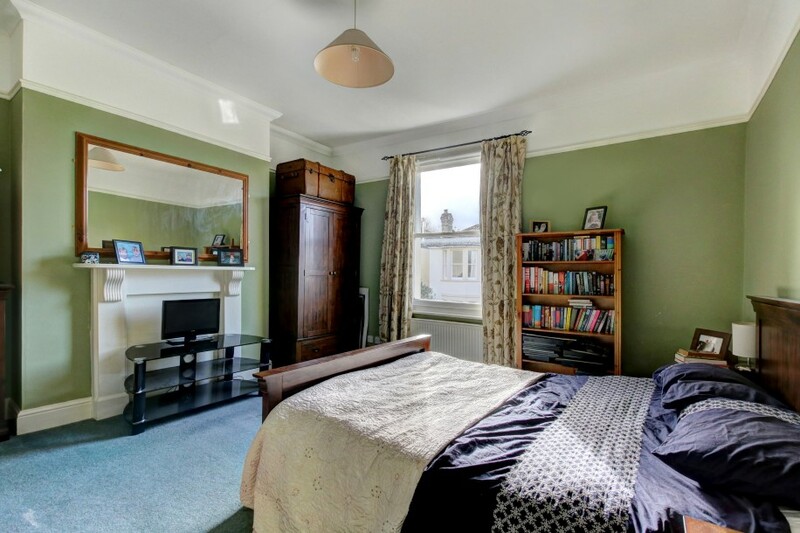 double bedroom with high ceilings, ceiling coving and picture rail, attractive period fireplace, built in bookcases with storage cupboards beneath to chimney recesses, large sash window to rear offering a similar outlook as bedroom 2 and a radiator. 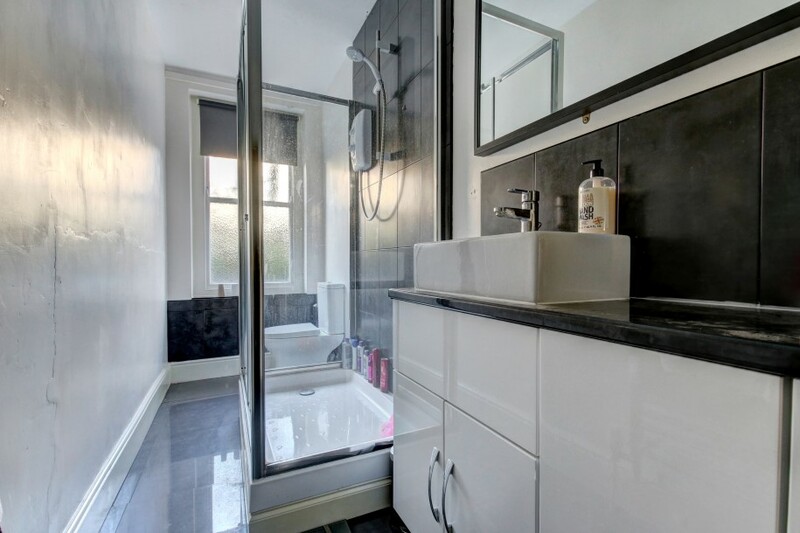 white suite comprising panelled bath with mixer taps and shower attachment, low level wc, pedestal wash basin and recessed shower enclosure with system fed Mira shower. 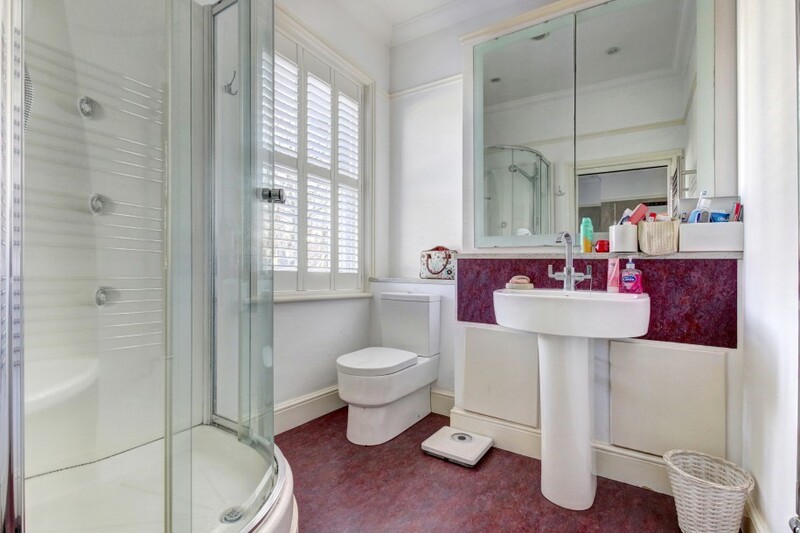 There are high level built in cupboards, window to front with plantation shutters, radiator and inset spotlights. 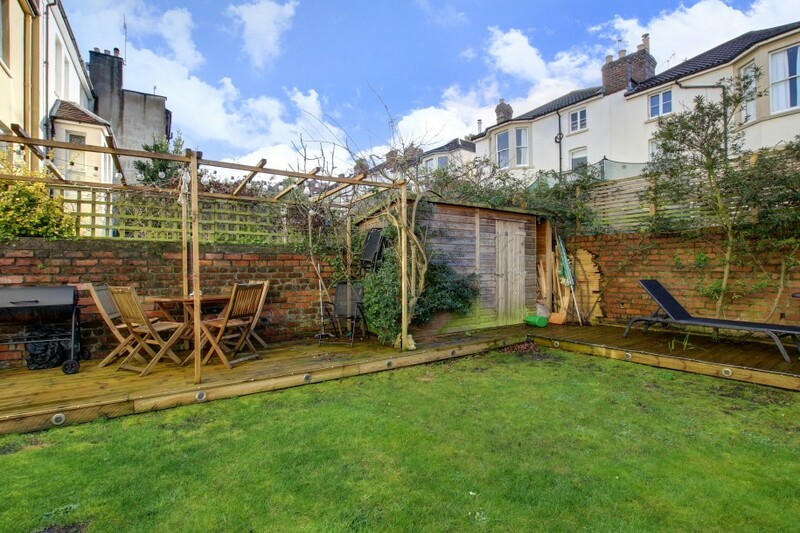 a tastefully landscaped south westerly facing rear garden with decked seating area with pergola over and inset lighting, good sized garden shed, central lawned section with a flower border containing various plants, shrubs and trees. Outside tap.